SugarCreek was founded in Washington Court House, Ohio in 1966 as a manufacturer of raw bacon. It was a solid business, reliably turning out an excellent product, but our founder, John S. Richardson, was an ambitious man. Today, nearly half a century later and under the leadership of his son, John G. Richardson, the company he created has grown into a diversified, innovative and extraordinarily flexible food manufacturer with six major facilities. SugarCreek’s core competency is operational excellence in packaged foods for retail and food service channels, providing a wide-ranging, value-added assortment of raw and fully-cooked products for domestic and international customers across all channels of trade. SugarCreek's dramatic growth has been driven by a devotion to creating excellent products, but our success goes far beyond that. We have a longstanding commitment to sustainability, to employing the latest technology and above all, to creating a safe environment both for our products and our employees. As a privately held, intensively entrepreneurial business, we feel a very personal sense of responsibility to the companies we serve, as well as to the associates who are members of our team. We co-develop Brandworthy Food Solutions and process products for many of North America’s largest, best-known and most reliable food brands. Similarly, we are committed to maintaining active and significant relationships with the communities our facilities call home. The philosophy and culture at SugarCreek is best described as: Successful. Independent. Relevant. Success is about always being efficient and profitable. We are proud to be a family-owned, privately held company and will always remain Independent. 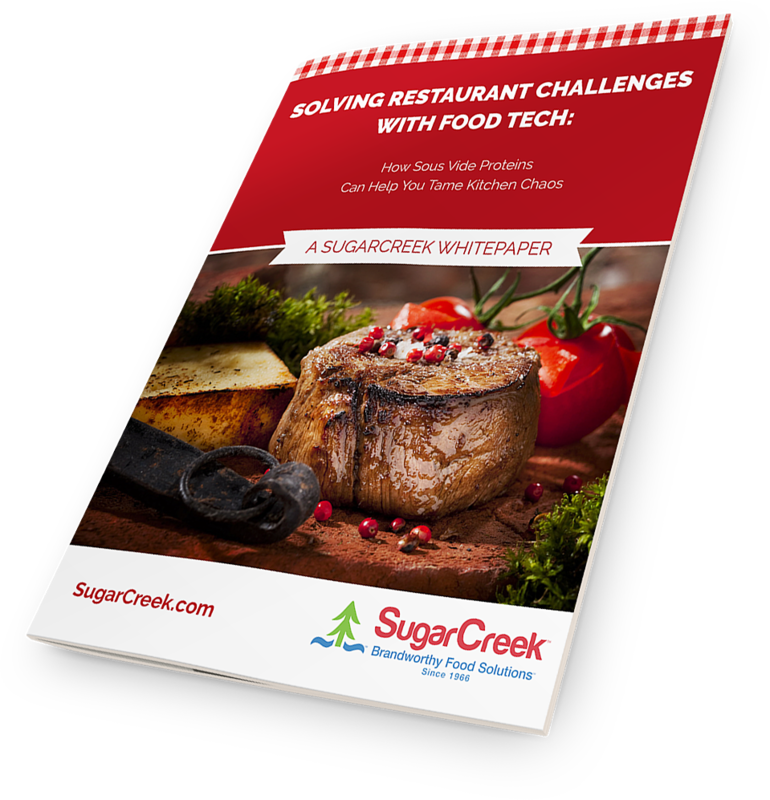 Our mission to stay agile, remain ahead of trends, and continue to be a thought leader in the food industry will always keep SugarCreek Relevant. There are those who regard values like ours as old-fashioned, and perhaps they are. We have an old-fashioned attitude about detail and quality. SugarCreek's founder, John S. Richardson said, “Good Enough Is Not Enough.” Over 50 years later, we still agree. That attitude combined with an equal passion for advanced methodology and stringent manufacturing processes makes us a company with a record and reputation others strive to achieve. Read through our website and you’ll learn more about our heavy investment in food safety, technology, state-of-the-art corporate lab and extensive in-plant testing programs. You’ll read about the comprehensive array of safeguards that we employ, including real-time video monitoring, a range of detection equipment (x-ray, metal and magnets) and laser sorting. So yes, our goals at SugarCreek may sound old-fashioned. We believe in being reliable and in providing our customers with consistent, high-quality products. But the ways that we pursue those goals – innovative processing, cooking, packaging and food safety systems – are as advanced and sophisticated as the food industry has ever known. The Great Recession of 2008 left its mark on the restaurant industry. Restaurants struggled to survive as Americans began to eat out less, and experienced workers retired or moved on to other industries. With the economy on the rebound, consumers are dining out more frequently. The problem? Most of your kitchen staff is unskilled and new to the industry. That’s a recipe for disaster in the fast pace of a restaurant kitchen.